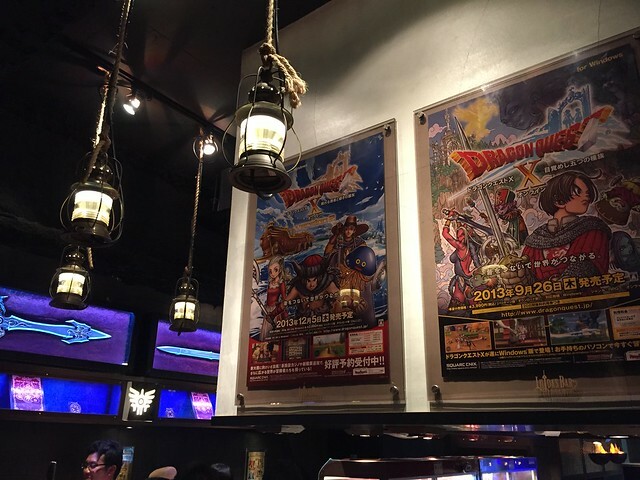 Gaymer Quest: Dragon Quest Café Photo Tour! 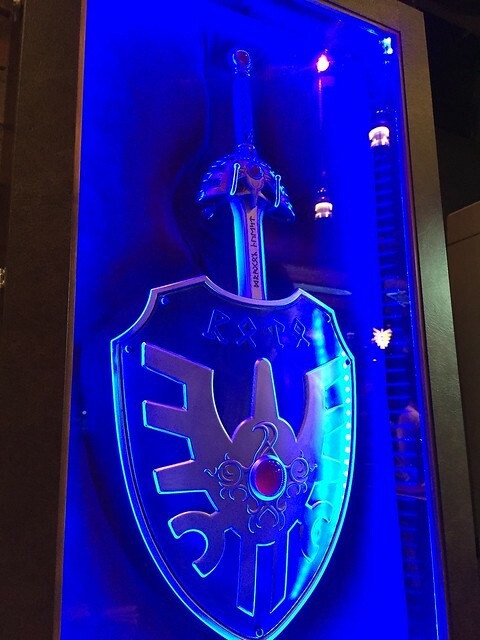 One of the main entrances to the bar baring the crest of Loto! 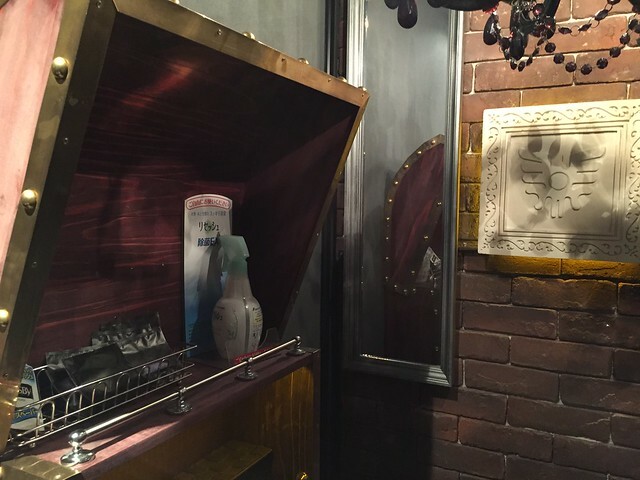 Some more of the bar's interior decor! 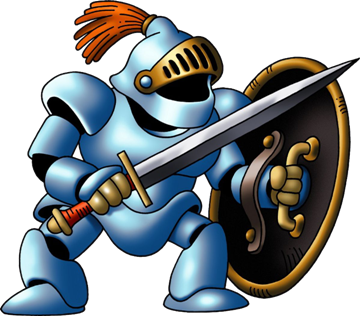 Another mounted Sword of Loto along with the Zenithian Sword from Dragon Quest IV! Here are some shots of the menu! They also had a partially English translated version for Westerners! 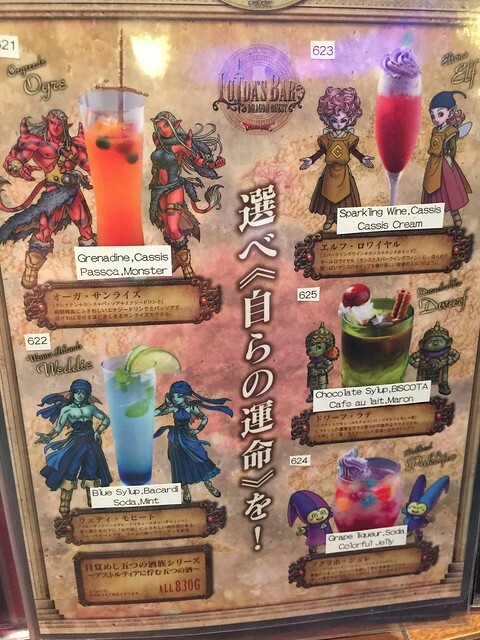 These were special drinks themed after each of the playable races in Dragon Quest X! 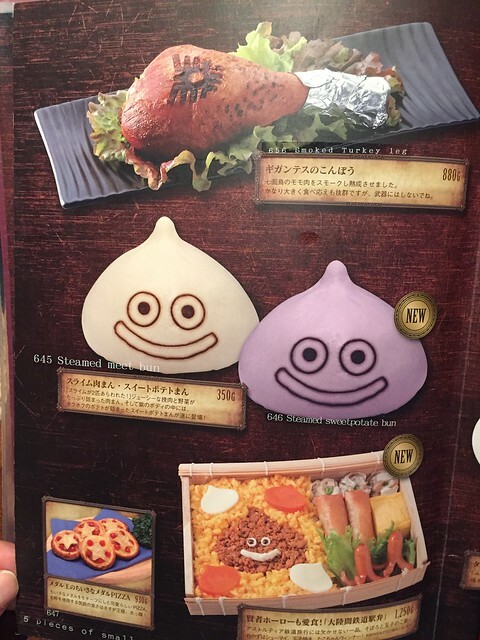 Another sample shot of the menu showcasing a turkey leg made to resemble the club wielded by the Gigantes monster, the slime meat buns, and mini pizza modeled after Dragon Quest medals! The last item on this page seems to be modeled after a train boxed lunch eaten by a character in Dragon Quest X. A page from the dessert menu! 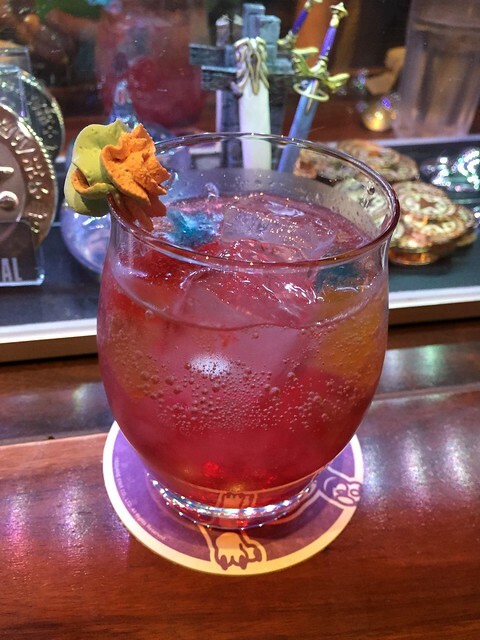 A cocktail themed after the priest spell "Kathwack" consisting of sugar on the rim, Cassis, white wine, and Zima. (Yeah, Zima is still a thing in Japan.) 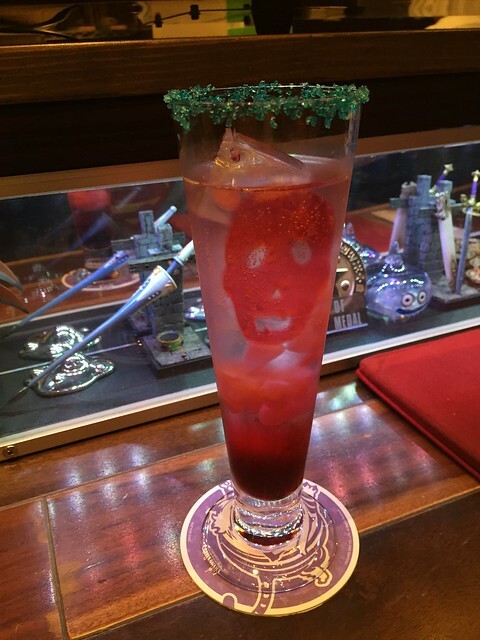 The menu description reads, "Inside this glass floats the spell of death. Don't forget to equip instant death guard!" 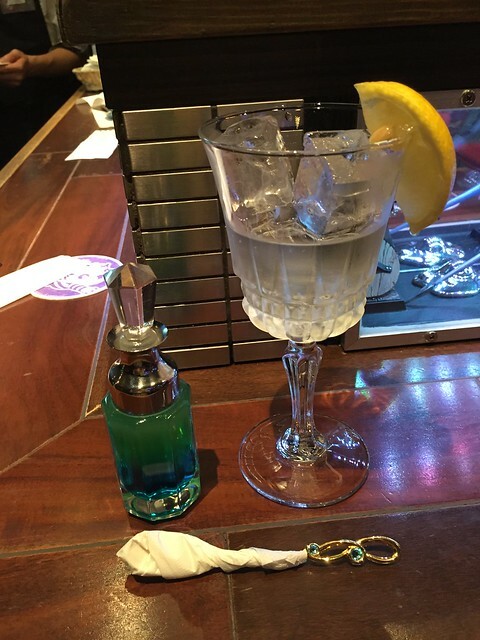 The "small bottle of magic" cocktail themed after a magic recovery item from the series! This one is made with gin, green apple syrup, and blue curaçao that you then poor into tonic. 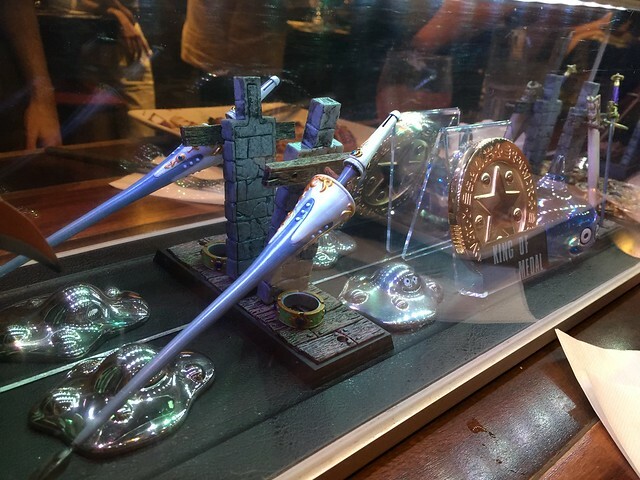 The menu description for this one says, "Pour the small bottle of magic into the glass to fully restore your MP!?" 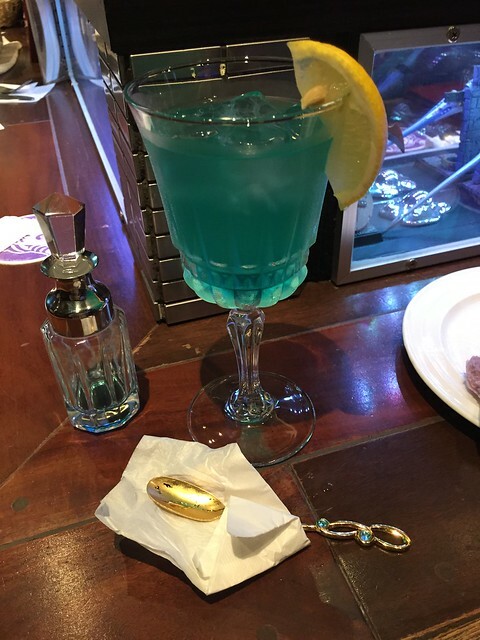 Even though I'm not familiar with Dragon Quest X, I naturally couldn't resist the rainbow drink with multicolored gummies floating inside! This one is inspired by Dragon Quest X's Puklipo race and made with grape liqueur gelatin, soda, and colorful gummies. I feel like this could have a home on the menu of any gay bar! 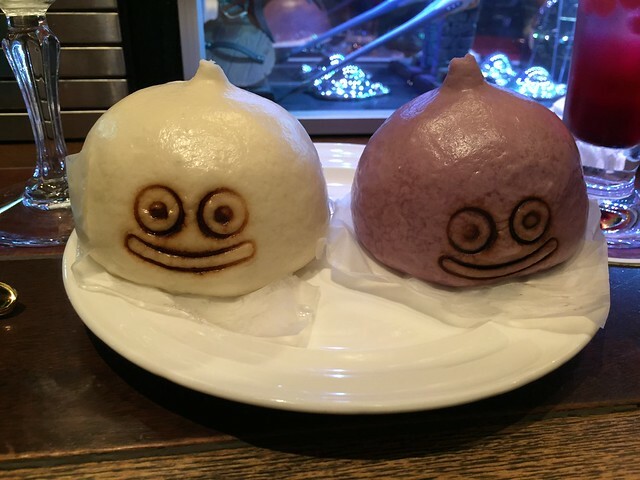 Another Dragon Quest X themed item, Megisu (メギス) Chicken Kara-age. 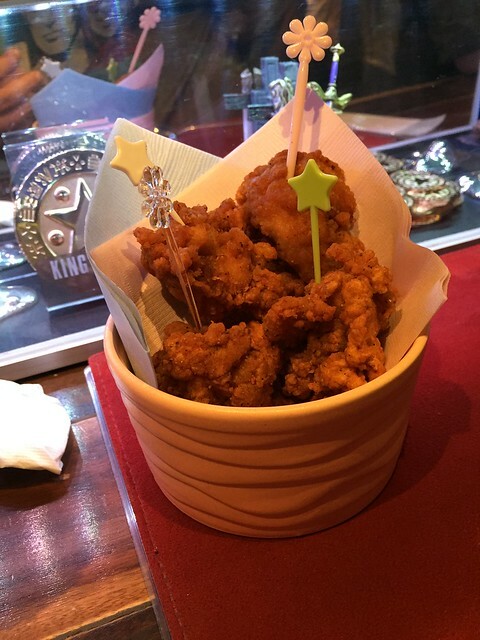 OK, this one was pretty much just standard Japanese style fried chicken, but it was really good and had adorable little toothpick decorations! 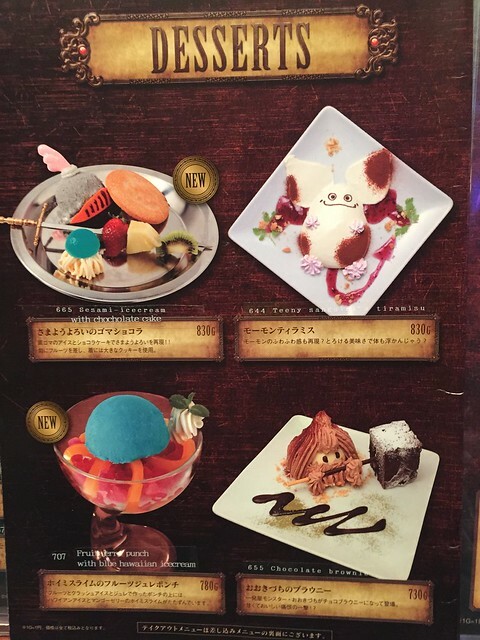 According to the menu, "If you eat this your 'magic attack' stat will temporarily increase by 8 points... probably!" 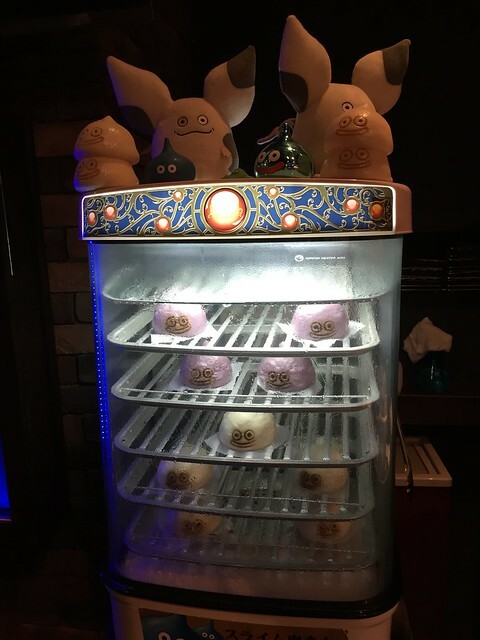 The cute enclosure housing the slime meat buns! 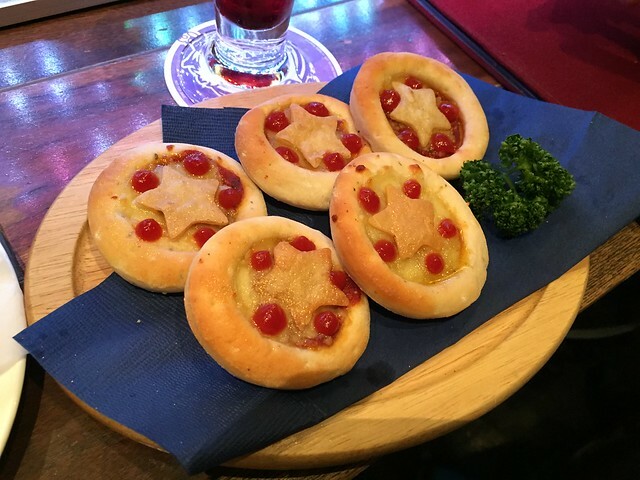 The mini pizza's styled like Dragon Quest medals up close! 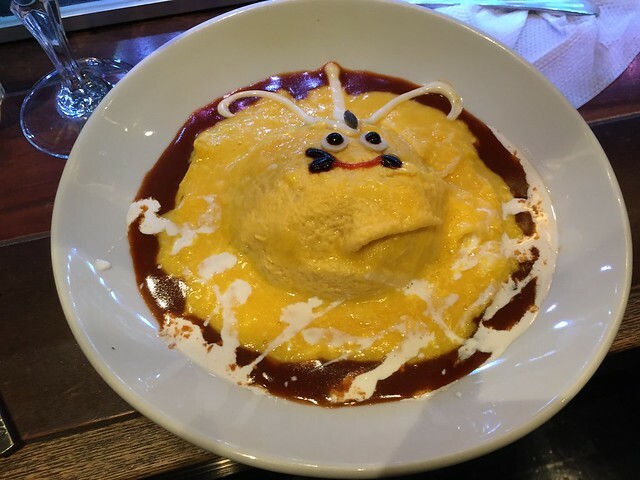 For my main entree, I ordered this sickeningly cute omelet rice with demi-glace sauce shaped like a Gem slime. I firmly believe all food should have edible googly eyes! Gem slime defeated in delicious combat! 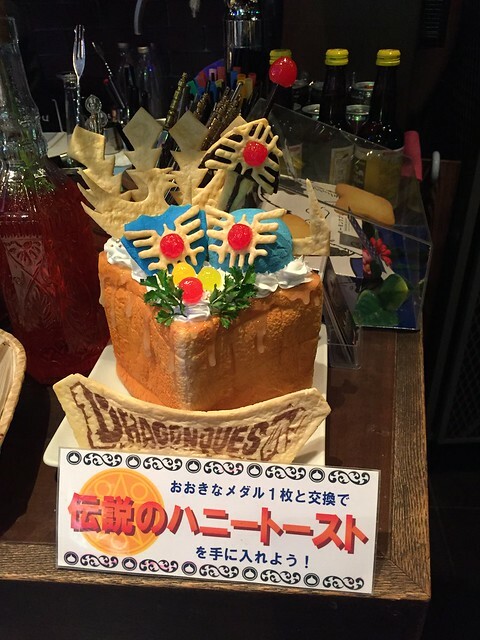 Super extravagant looking Dragon Quest themed honey toast dessert that you can order by using "medal" points received for each time you visit! 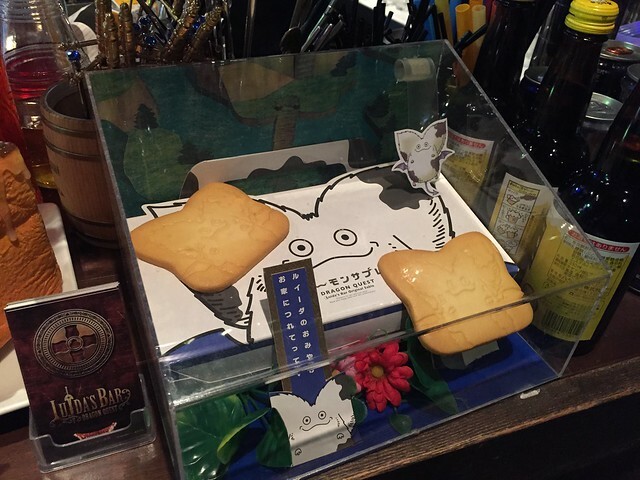 Special Luida's Bar souvenir cookies! 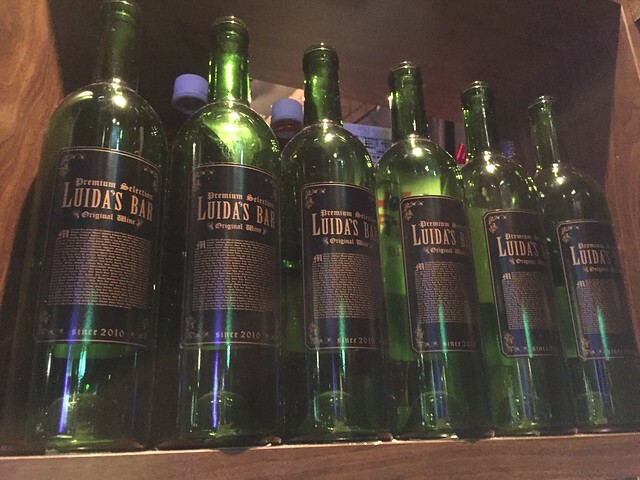 Some bottles from the bar's special wine. 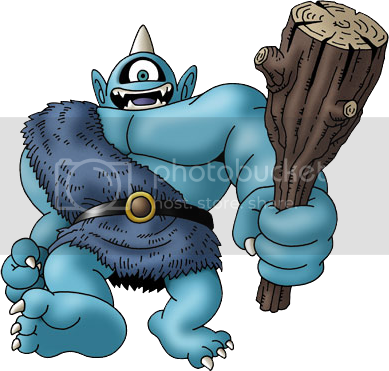 This is the dessert modeled after the Hammerhood monster. 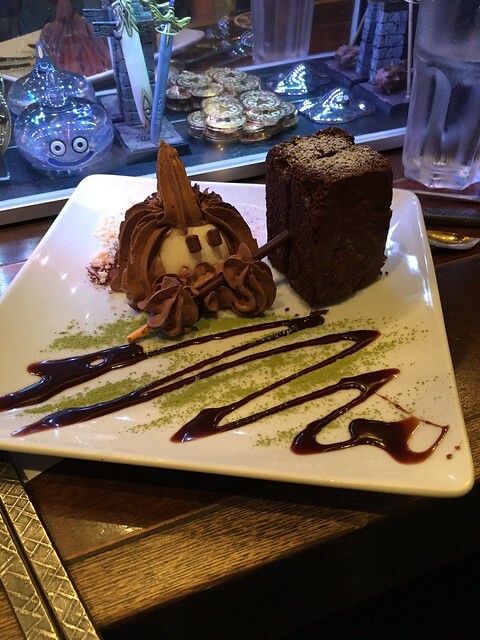 Complete with brownie hammer! 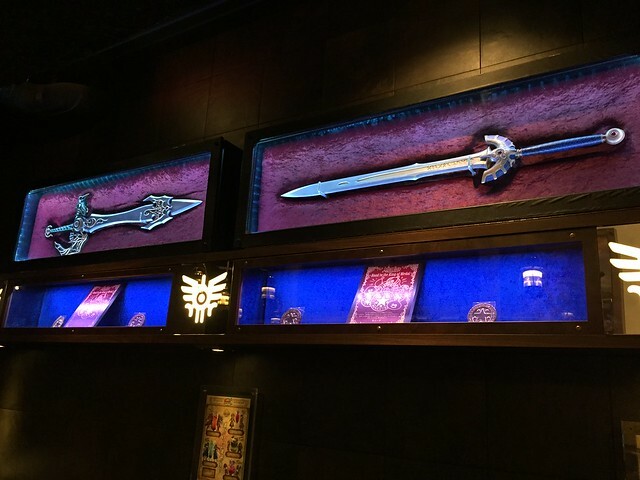 More Dragon Quest items scattered around the bar. Another dessert up close! 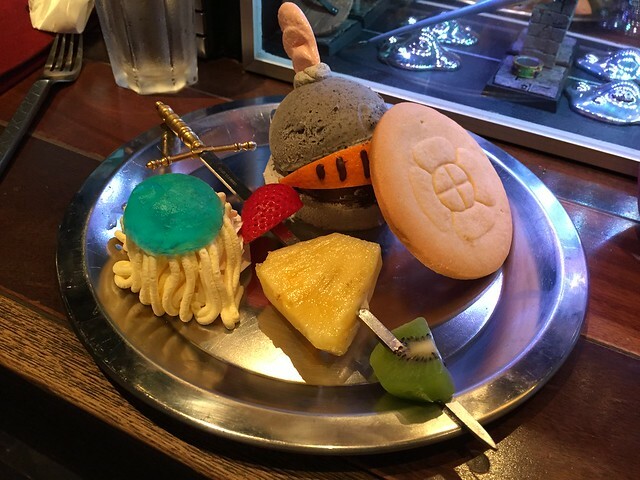 This one is a black sesame ice cream creation modeled after the Restless Armor enemy complete with cookie shield and companion gummy Healslime! Here's a Restless Armor pic for comparison. 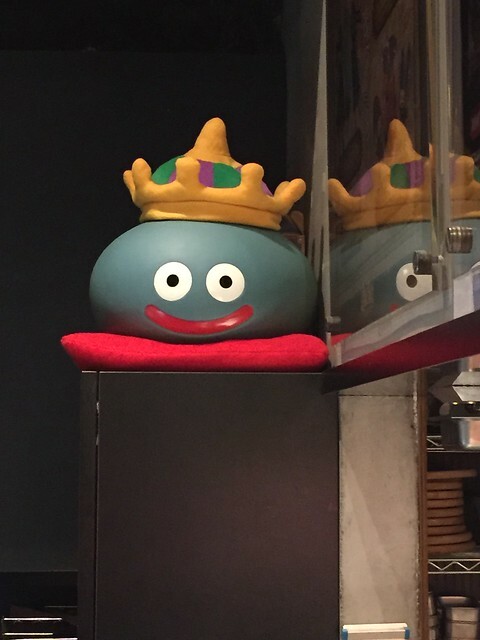 Of course, for the sake of investigative reporting I had to also snap some pics of the bathroom which was also fully decked out in Dragon Quest regalia. 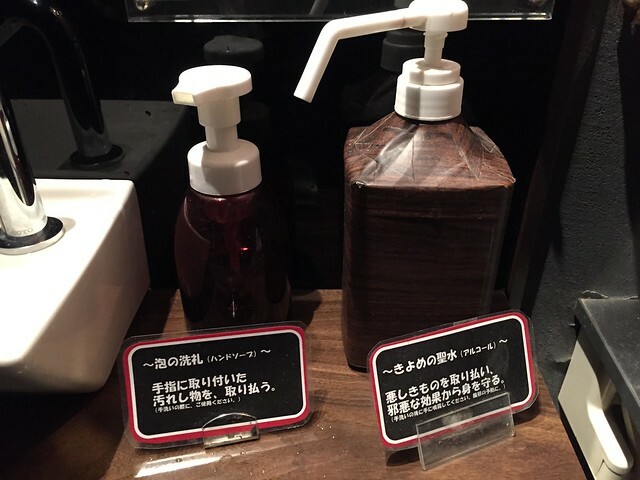 Even the hand soap and hand sanitizer had Dragon Quest style item descriptions! There were a lot of touches like these hanging lanterns and brick walls to give the place a fantasy tavern feel. 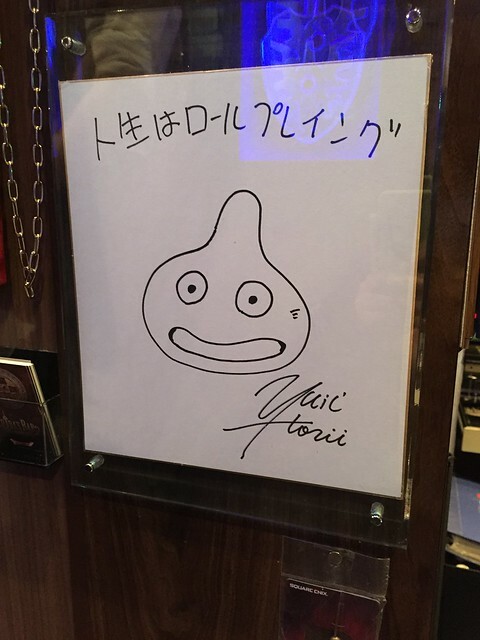 Lastly, here's a super cool slime sketch by Dragon Quest series creator Yuji Horii! The text says, "Life is roleplaying." 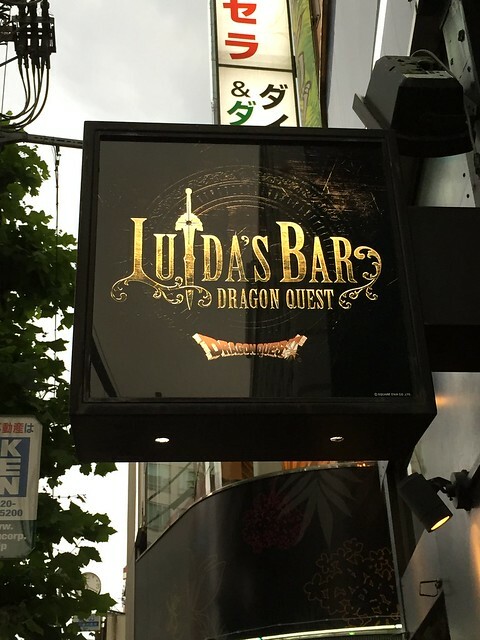 If you are a Dragon Quest fan or a video game fan in general and plan to spend some time in Tokyo I would wholeheartedly recommend checking out Luida's Bar! It might sound weird, but going in I thought this type of themed restaurant was more about the ambiance and the food would just be average. However, I was blown away by how delicious everything tasted especially with how complex some of the dishes were! 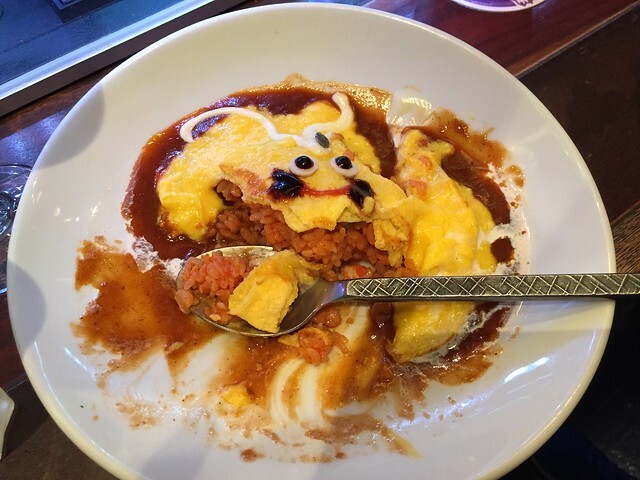 I still dream about that amazing Gem slime omelet rice! The staff was also super nice and very welcoming to foreigners. Since English language menus are available, even if you don't know much Japanese I don't think you'll have any problems. Also, if it's a concern the bathroom is gender neutral and only accommodates one person at a time. 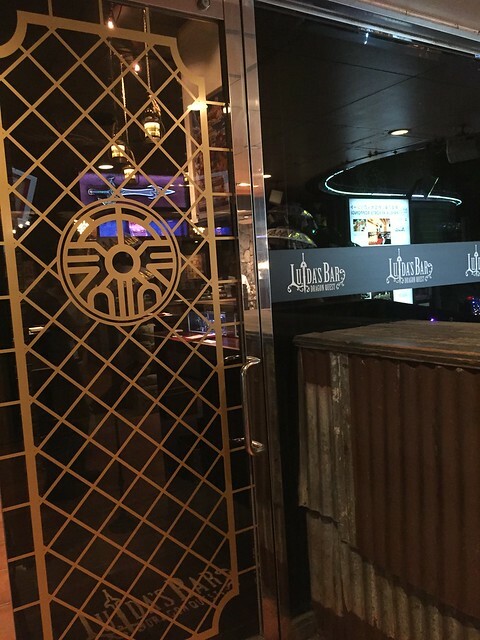 The restaurant does require reservations which you'll need to make by phone or in person. We just showed up a few hours beforehand and they had plenty of later spots available throughout the evening. If you want to see the full menu or need more info, be sure to check out their website! I hope you enjoyed this photo tour! I also went to a few more nerdy themed cafe/restaurants like this one that I can't wait to post about!